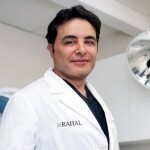 You are here: Home / Hair Loss Blog / Ask Dr. Rahal / How Long Does Propecia Take to Work? 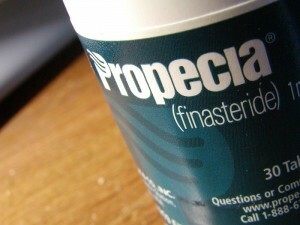 Just picked up a prescription of Propecia and will start taking it tonight. How long does Propecia take to work? And when can I expect to see results? I’m not really expecting any growth. Just want keep what I have and save the crown. I’m 26 and will get a hair transplant for the hairline with you in the near future. Propecia begins to lower the amount of Dihydrotesterone in your scalp from day one. For anyone not familiar with Propecia. It’s an FDA-approved pill that blocks the formation of DHT, the hormone responsible for male pattern hair loss. While some men do get limited regrowth, mainly in the crown, Propecia is most effective at “maintaining the hair that you have”. So the sooner you start taking it the better. Propecia will only work if you continue taking it. For the best results, you need to take a 1 mg tablet every day for at least a year. Day 1 – Propecia begins to lower DHT levels. Month 3 – You may notice less hair loss. Month 6 – You might see some regrowth. Month 9 – Propecia should be maintaining the hair that you have. In not, give it 3 more months. Month 12 – You should know if Propecia is working. If not, further treatment is not likely to help. Bottom line… give it 12 months to judge how well its working for you. You should also know that Propecia can affect a blood test called PSA (Prostate Specific Atigen) when screening for prostate cancer. If you have a PSA test done, tell your doctor that you are taking Propecia. P.S. Click here to take control of your hair loss. Do Any Product Treatments Work for Traction Alopecia? Hair Transplant without Taking Propecia?